The Manitoba State Council of the Knights of Columbus is continuing with its unique contest about drug abuse, which was initiated some time ago to compliment its already very successful “Keep Christ in Christmas” contest. 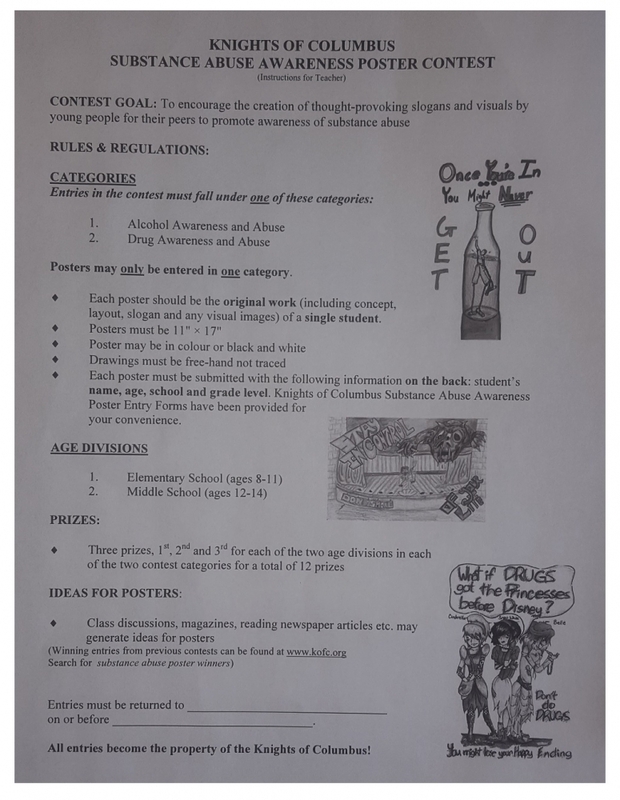 The goal of the substance abuse awareness contest, as is obvious by the name itself. It not only wants to raise awareness among youth about this devastating social pandemic, but especially to encourage young students themselves to produce effective messages for their peers. Eugene Prieur a Past State Deputy with the Knights, who is promoting the contest, is asking local Councils to solicit the cooperation of local schools (private and public), parish communities and other organizations that work with youth. 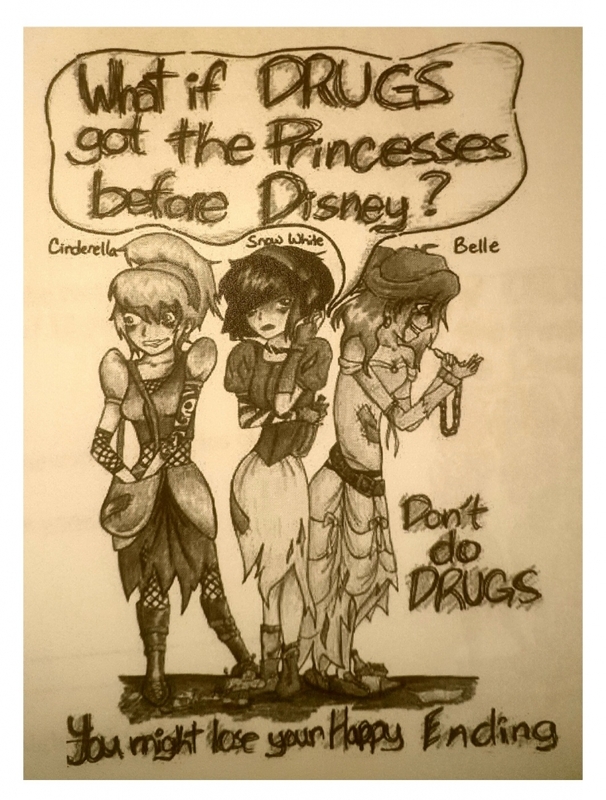 Students are invited to produce thought-provoking posters with slogans, images and themes that will immediately appeal to their peers – other young people - and get the message through that the abuse of drugs has an immediate and usually long-term crippling effect on one’s life – physically, mentally and spiritually. Information and rules about the poster contest are available through your local council of the Knights of Columbus or you may also contact the Chairman of the Contest Committees BrotherEugene Prieur, PSD at eugene.prieur@shaw.ca or t. 204-256-5973. You can view some of the winning artwork from previous years [HERE]. The Deadline for the SUBSTANCE ABUSE AWARENES POSTER is February 28! The Deadline for KEEP CHRIST IN CHRISTMAS is January 28!